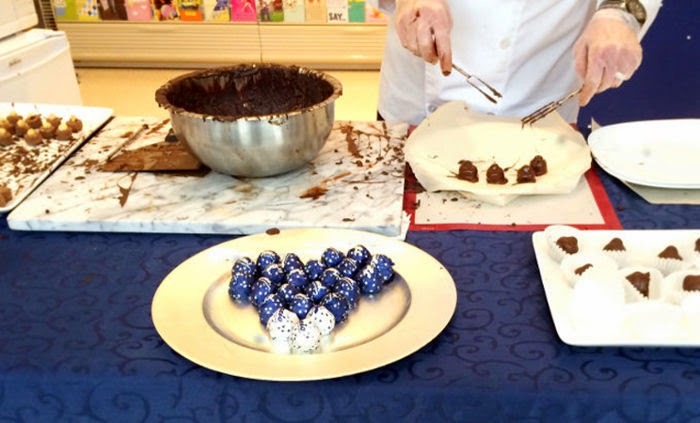 A short time ago, I had the pleasure of learning how Baci Perugina Chocolates are made. These chocolates have always been my absolute favourite, so this experience was "a dream come true"! 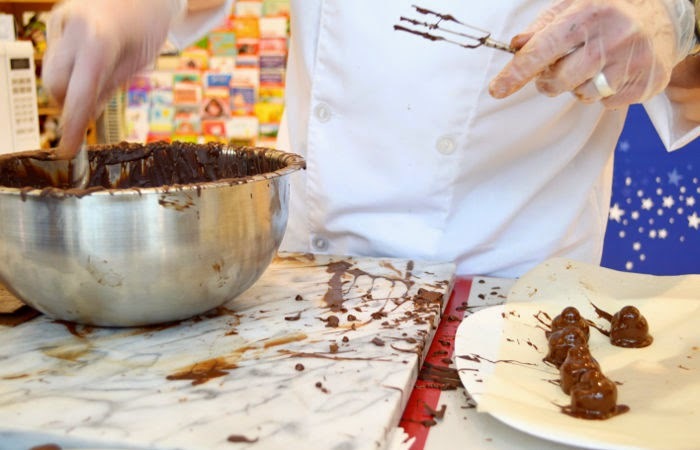 What secrets can you tell us about the Baci recipe? The recipe is over 90 years old, it hasn't changed! It's phenomenal! In the beginning stages, the Baci Chocolate didn't include the hazelnut at the top, it just happened to be placed there by accident and the Bacio was born! What makes Baci so delicious? There aren't many elements to the recipe, it's simple, but it's the best ingredients. When you make a great recipe it has to be harmonious; Italian's have always been brilliant at doing that with their food. At the end of the day, that's what's important, you have the best ingredients, you choose them wisely, you have a great recipe! Aurora Importing wanted to reintroduce a fantastic Italian tradition. In Italy, everyone, including the younger generations, is totally enamoured with Baci Perugina Chocolates. It's a lot of fun with the little messages; they want to bring that here. 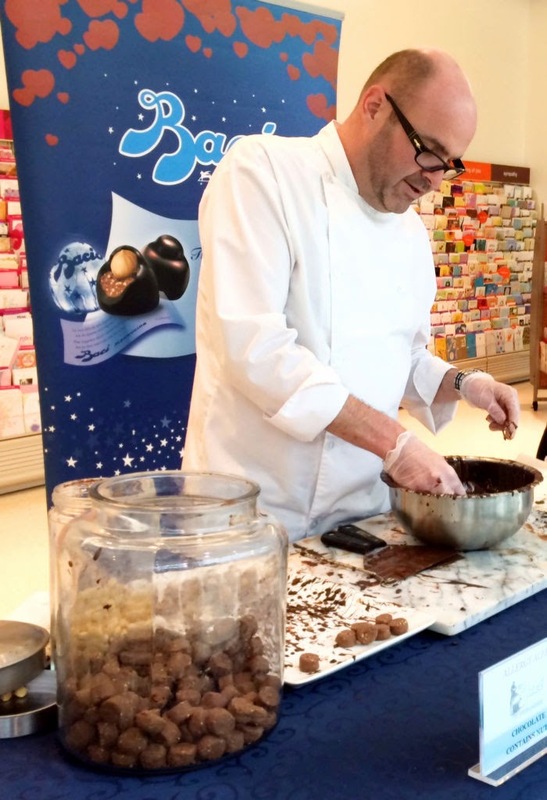 What do Baci Perugina Chocolates mean to you? The Baci Chocolates are another great Italian food to have! As a lover of Italian culture, it's really great to be a part of this. Italians have a great passion for everything they do in life, including food of course. The one thing I've learned from working in Italy is that food is secondary to people. Great food is a catalyst to bringing people together. That's the important part, people being together is very important. It's part of a value system. Thanks to Chef Pritchard for the lesson and insight! The demonstrations will continue until February 7th in stores across the Greater Toronto Area. Check baciperugina.ca for details. Baci Perugina Chocolates were first created in 1922, in Perugia, Italy. The chocolates are comprised of a hazelnut confection covered by a delicious layer of dark chocolate. That is all wrapped up nicely in a beautiful little love note, which is written in five different languages! The chocolate was created by Giovanni Buitoni and Luisa Spagnoli; it was named "Baci" by Buitoni, which means "kiss" in Italian. Baci Perugina debuted in the United States in 1939. High profile fans such as Frank Sinatra, Clark Gable and Rudolph Valentino, helped Baci Perugina become an icon of Italian culture! Now off to indulge in a little dolce ... Baci Perugina!